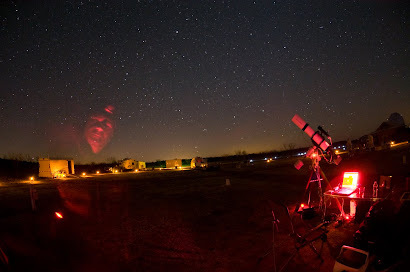 Here is another shot taken from my recent expedition to the Okie-Tex Star Party. I was going after the dark nebulosity of LDN 1148 (the scorpion tail in the center), but decided to go wide and add the Iris nebula (blue reflection nebula on the left). 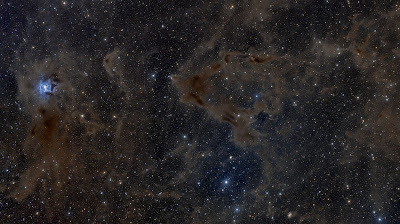 This large dust field is in the Cepheus area. I love these dark, spooky, vistas. Next to the Orion Nebula, M31 (the Andromeda Galaxy) is surely one of the most photographed deep sky objects. I last shot our "sister galaxy" a couple of years ago, so I decided it was time to check up on her again. I shot a much wider field this time and with my newer STL11000 camera. I like the results. 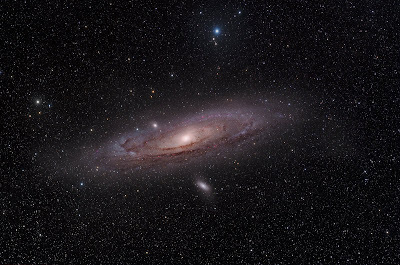 I often like to "step back" from these galaxies to see where they live, instead of so close-up. Here is my first CCD image to be processed from Okie-Tex. 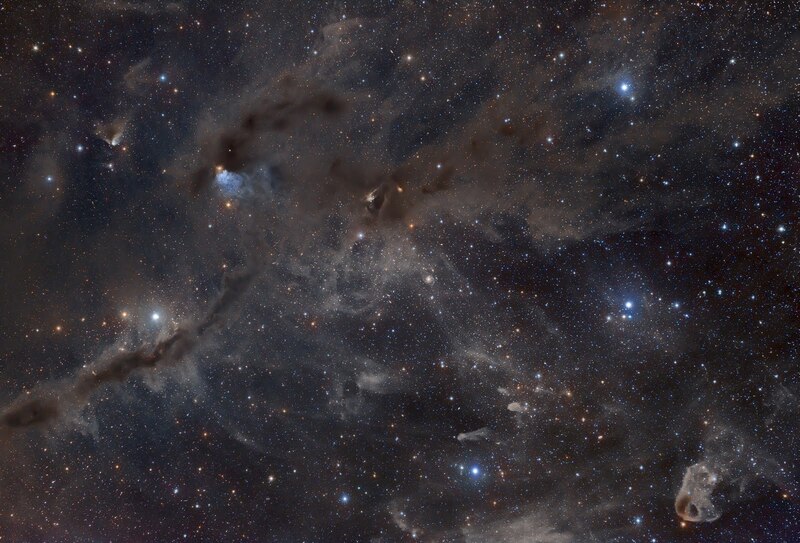 This is an enormous dust complex in Taurus, centered around the blue reflection nebula Vdb27. After working on this image for a while it started looking to me like a giant bunny leaping right to lower left across the frame (please tell me you see a bunny too). These types of targets are among my favorite to image. 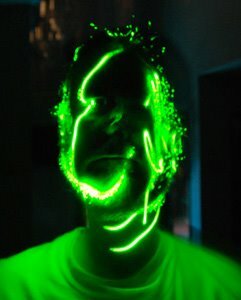 The illuminated dust has a very 3D quality that I really like and try to bring out in the photo. 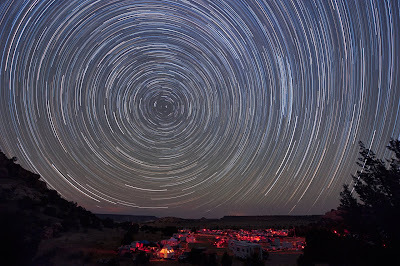 Spent last week at the Okie-Tex Star Party in the Black Mesa area of Oklahoma (literally across the highway from both Colorado and New Mexico). It was a spectacular SEVEN CLEAR NIGHTS under the stars with some great folks. I imaged every night until the sun came up, so I am gorged with photons! 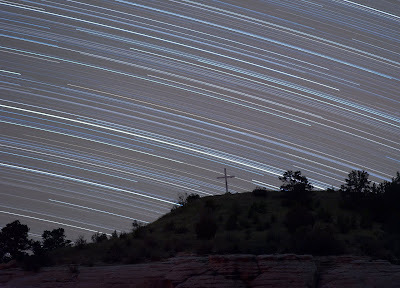 Before plunging into all of my data, here are a couple of star trail images taken with my Nikon D700.